Brindle & Green offers a range of onsite contracting services that complement our consulting teams. Most of the work our contracting team is involved in relates to development. This is a natural extension to the work our consultancy team do in helping to secure planning approvals. 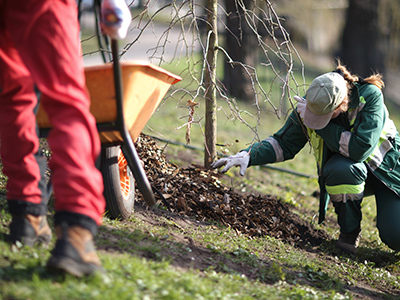 Brindle & Green employs a team of contractors with experience in the erection of fencing for wildlife exclusion and translocation, alongside soft landscaping services such as pond creation, tree planting and habitat creation. 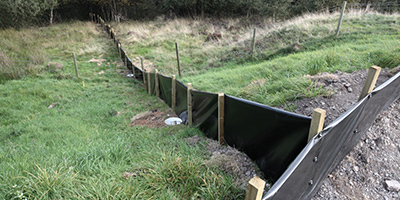 Normally required as part of a European Protected Species (EPS) Development Licence and prior to the commencement of development, Brindle & Green provides cost effective and efficient fencing solutions usually attributed to Great Crested Newts. Brindle & Green takes the method statement used to secure your EPS Use of License and puts fencing and pitfall traps in to the agreed specification. For further information please call or email for advice and quotes. 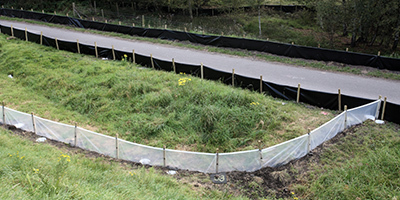 Typically required as a part of a method statement, reptile fencing is required prior to development works starting on a site. Brindle & Green can either implement a fencing strategy set out in a method statement or design a method statement from scratch. 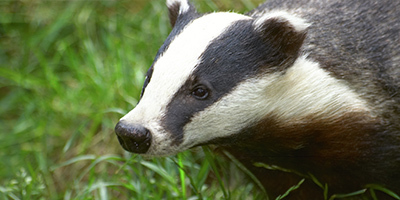 Badger fencing is either required as a way of preventing destruction to an area or as part of a badger sett closure and relocation project. Brindle & Green will erect badger fencing and install two way or one way badger gates. Brindle & Green has the equipment and expertise to construct artificial badger setts and manage the closure of old setts. This is achieved through one way gates and no dig fencing around old sett entrances.